"I am excited to join the commission and continue working toward the goal of helping those with substance use disorders find a pathway to recovery,” said Representative Roy. "The findings from the commission’s report will be important in addressing this issue at the local and state level and will provide meaningful opportunities for our residents who are struggling with addiction." 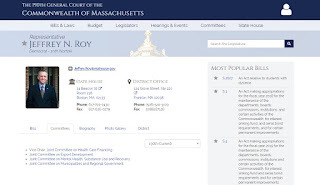 The commission consists of 15 members, including the secretary of health and human services; the commissioner of public health; house and senate members of the joint committee on mental health, substance use and recovery or their designees; the mayor of the city of Boston or a designee; the mayor of the city of Cambridge or a designee; and representatives from the Massachusetts Medical Society, the Massachusetts Health and Hospital Association, and the Massachusetts Chiefs of Police Association. It also includes persons with a substance use disorder, a clinician with experience in mental health and substance use disorder, a person working in an established harm reduction program, an expert in relevant state and federal law and regulation, and a representative of local municipal boards of health. 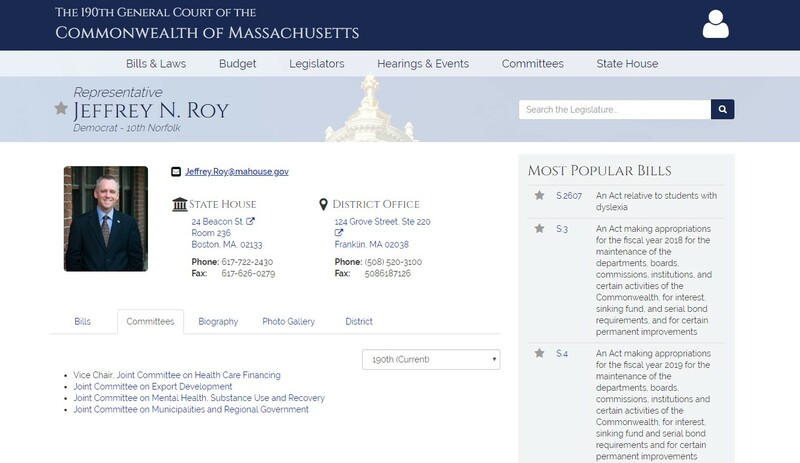 Please contact the office of Representative Roy with any questions or concerns at (617) 722-2430 or Jeff.roy@mahouse.gov.